EAST LANSING, Mich. — Ohio State knew it’d be a fight when it walked into Spartan Stadium to face Michigan State. 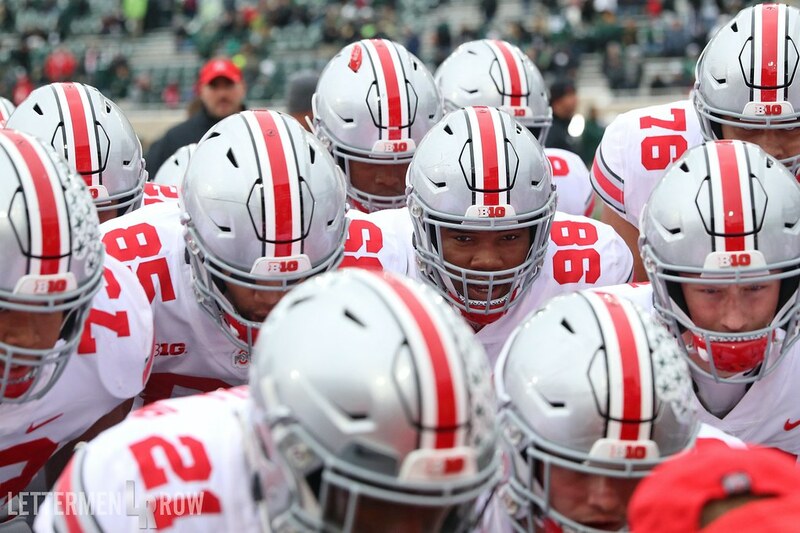 When the Buckeyes and Spartans tangle, that’s just the way it goes. Other than that, everything and anything that happened on the field at Michigan State was unpredictable. Ohio State’s most valuable player on Saturday was likely Drue Chrisman, the Buckeyes were able to get a 100-yard effort from running back Mike Weber against the country’s top-ranked rushing defense and won a game on the strength of its…defense? Whatever it takes to win in November, and no one inside the Ohio State locker room is going to complain about a 26-6 win against the No. 18-ranked team in the country. It wasn’t always pretty, but it was enough for the Buckeyes. Lettermen Row was on the field, taking in the sights and sounds from Spartan Stadium. Check out our photo gallery from the Buckeyes ninth win of the season below. When the gallery loads, hover over first time and then use your left-right arrows to scroll through photos.